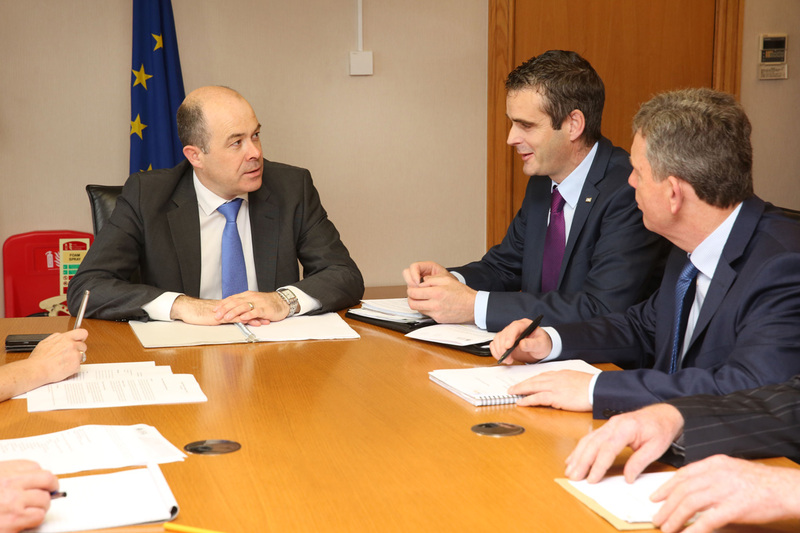 Minister Denis Naughten recently met with the IFA where he spoke of the importance of rural communities and bioenergy in the future of energy policy. Minister Denis Naughten has stressed the importance of rural communities and bioenergy in the future of energy policy. The Minister outlined to the IFA the important role that indigenous bioenergy can play in moving to a future low-carbon energy system, while also benefiting local farmers who produce the crops. “As Minister I will be working with Bord na Mona and Coillte to push ahead with the development of a biomass industry not only for electricity generation but also in the new growth area of renewable heat,” stated Minister Naughten. “Later this year I will be finalising an incentive scheme for the use of biomass in the renewable heat sector which should provide a guaranteed outlet for farmers growing energy crops and for woodchip. “Personally I want to see an energy crop that will grow on marginal land that can be grown close to the power stations in Shannonbridge and Lanesboro, and will ensure that local people are employed in the planting, harvesting and transportation of the crop.